Just as a mirror will reflect its own image, a mirror number often refers to a situation in need of reflection and interpretation. It is the providential sign that asks you to reflect upon the way life has unfolded in both the past and the future. Of course, not every mirror hour will necessarily affect your conscious mind, but when they do attract your attention by appearing to you regularly there is space to reflect upon what implication this may have on the way your life is unfolding. Both mirror hours and reversed mirror hours hide a message, a message sent to us by our patrons and protectors the guardian angels when they are trying to establish contact. 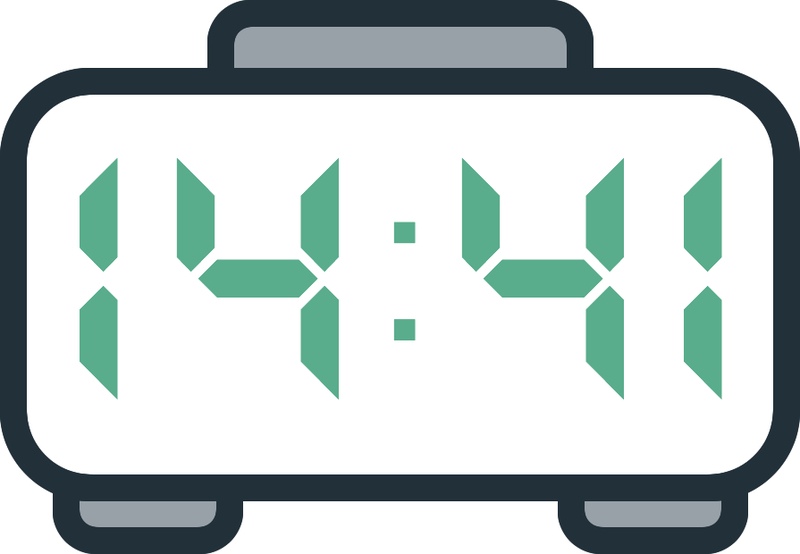 If you are seeing the reversed mirror hour 14:41 on a regular basis then you would be mistaken to think that it is mere coincidence – your guardian angel is trying to tell you something. To find out what this is, you should first try to understand the message and then figure out how you can integrate it into your life to continue moving forward in a more serene way. 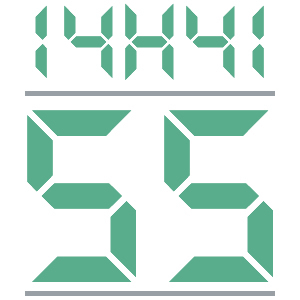 The reversed mirror hour 14:41 signifies freedom, adventure, exploration, and independence. To understand your guardian angel's message, you should first relax yourself completely. If you are in a state of stress or are feeling anxious due to a worrying situation, your guardian angel asks you to stay positive. Be aware that any negative emotions will get in the way of your flow of energy and resources. You must free yourself of all problems while focusing on the things which excite you. If you do this you will see the results of your efforts along with newfound determination. It is through the reversed mirror hour 14:41 that the guardian angel Sehaliah has sent you a message. First of all you should know that this is the angel of success. He is sending you the message that he wants to help you succeed and also allow you to easily pick up on those people who are vain, arrogant, selfish, or pretentious. This guardian angel wants to tell you that he is there to bring you motivation while establishing pure intent within your mind. This will happen automatically because you will be able to improve your powers of will and concentration through his presence alone. He wants you to know that he will bring you hope, enthusiasm, and strength. Your guardian angel Sehaliah is also trying to tell you that he will make you more dynamic and alert, but more than this he will give you the life purpose to rouse those who are in slumber. He possesses the ability to bring out people's awareness. By using the reversed mirror hour 14:41 Sehaliah is also telling you that he will bring you health and healing. With him, your life force will find balance and your life energy will increase to help you defend yourself against external attacks. Keep in mind that he is the patron of the 4 elements: earth, fire, water, and air. 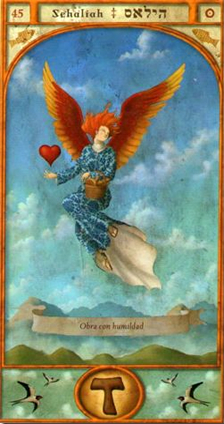 This guardian angel is also letting you know that he will protect you in case of imbalances or outbursts of the natural elements such as floods, droughts, tornadoes, earthquakes, volcanic eruptions, etc. You will be able to count on Sehaliah in every aspect of your life. What does 14:41 mean in Numerology? The number 55 is said to be angelic when it is the product of the reversed mirror hour 14:41. It is a number which represents freedom, change, motivation, progress, understanding, sensuality, and bravery. It has a strong energy and leaves a sense of competition and conquest in its wake. If you have been seeing this reversed hour regularly then the numerology behind this number has a message for you. It is telling you to return to the right path, which is the path of balance, and to learn to distinguish judgment from action. It is also asking you to learn a sense of diplomacy, patience, and wisdom, because if you are able to do this you will be met with great success. Through the number 55 your guardian angel is also telling you that you should be cautious as this number brings with it quite an aggressive energy. It could be that you have been known to be excessive in your behavior and your actions. You should also be careful not to fall into destructive or self-destructive patterns. Thanks to the substantial energy provided by this number, you will find it easy to overcome the different obstacles which present themselves to you on your life journey. These obstacles give you a sense of challenge and purpose. Your angel is asking you to leave your fears and worries far behind you to allow you to become more open to change. He also asks that you be faithful to yourself and live your life with more passion and with rational objectives in mind. The angel number 55 also gives you a positive attitude as well as an open mind which will allow you to seize every opportunity. The message behind this number is that you should learn that everything which happens and everything which will happen has its own reason for doing so. Even if it is difficult for you to understand what is happening in your life right now, have faith, as everything will turn out well in the end. Any comment on the 14:41 mirror hour? 14:41 appears when my best friend phones me, it happened twice already, I want to know what that means.